Most versions of the Altima can pretty much blend in to the midsize sedan landscape, but few buyers of a midsize sedan are looking for outlandish or outrageous. The Nissan was updated last year with a very pleasant and sensible design, but the sporty flourishes of the SR model means you can also have an Altima that's got a unique personality as well. If the Altima is a car that's benefitted from a redesign, the Toyota Corolla is a model that could do with one. There's nothing wrong or ugly about the way the Corolla looks, and maybe its cookie cutter feel is because the Corolla sells so well. But, to be honest, the Corolla is taking unremarkable to a new level, with very little flair to its style. The majority of Altimas that you'll find on the Power Nissan lot will have a 2.5-liter four-cylinder engine under the hood. That engine is more than adequate with its 182 horsepower, but one of the best things about the 2017 Nissan Altima is that it also gives you more power if you want it. More power comes in the form of a 3.5-liter V-6 that puts out 270 horsepower and 251 lb.-ft. Performance is probably a bit of a strong word for describing the Toyota Corolla, regardless of which version of the 1.8-liter four-cylinder we're talking about. The base engine develops 132 horsepower, but that can go up to 140 horsepower with the Eco version of the four-cylinder. The more powerful engine might become available in more models than just the Eco at some point, but even so, this is another easy victory for the Nissan. Redesigns of late have had an upscale flair and though that trend isn't exclusive to Nissan, the Altima certainly benefits from it. Acoustic glass and additional sound deadening were added last year, and combined with the comfortable and spacious seating, the interior of this Altima definitely has a more premium feel. With 45 inches of leg room and 40 inches of head room, the front seats are particularly accommodating for taller drivers and passengers. 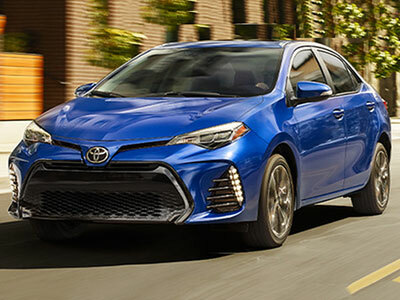 For such an affordable vehicle that sells in such huge numbers, people new to Toyota might be surprised at just how nice the Corolla is inside. The front isn't as spacious as the Altima, but the five extra inches of leg room in the back seats is impressive to say the least. The more compact nature of the Toyota becomes more apparent with the 3.4 fewer cu.-ft. of trunk volume than the Altima. Other than the SR with its sportier tires, all four-cylinder versions of the Nissan Altima are rated by the EPA at 27 mpg in the city, 39 mpg on the highway and 31 mpg combined. The SR drops those numbers to 26/37/30 mpg, but the V-6 obviously impacts them further by reducing them to 22/32/26 mpg with the CVT transmission. It's no surprise the Corolla Eco is the most frugal version of the Toyota, and its ratings are impressive at 30 mpg in the city, 40 mpg on the highway and 34 mpg combined. It's hard to argue with the popularity and the continued success of the Toyota Corolla, an underdog that's come into its own. This Corolla is starting to show its age and last year's refresh of the Nissan Altima shows how much the Corolla needs a similar treatment. 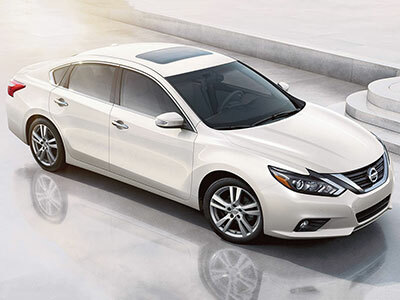 But perhaps the best reason for choosing the Altima is the extra performance offered from the V-6. You may not want it or need it, and you might choose the four-pot instead. But an upscale style, performance option, and an interior that's both comfortable and beautiful makes the 2017 Nissan Altima the best bet in this match up.